In stock 88 items in stock. 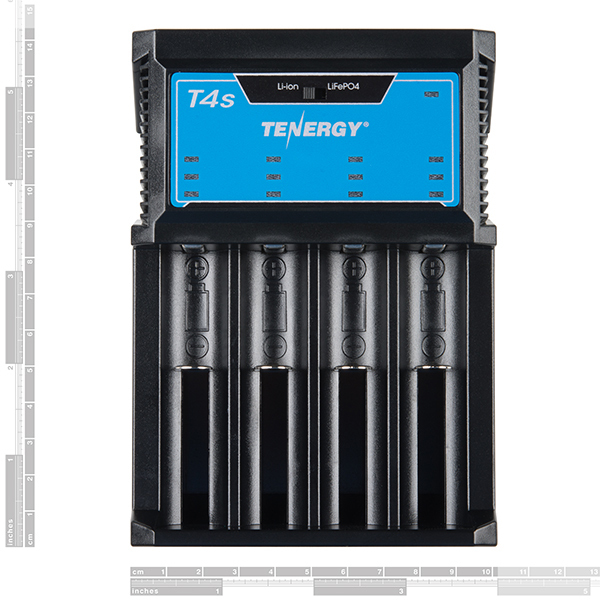 The 4-Bay T4s Intelligent Universal Charger from Tenergy is an automatic smart charger compatible with almost all types of rechargeable batteries, thereby eliminating the need to own multiple chargers. Capable of automatically identifying and charging Lithium Ion (Li-ion), LiFePO4, NiMH and NiCD rechargeable batteries, the T4s applies the appropriate charging mode, whether it be a constant charge current (CC), constant charge voltage (CV) or trickle charge. 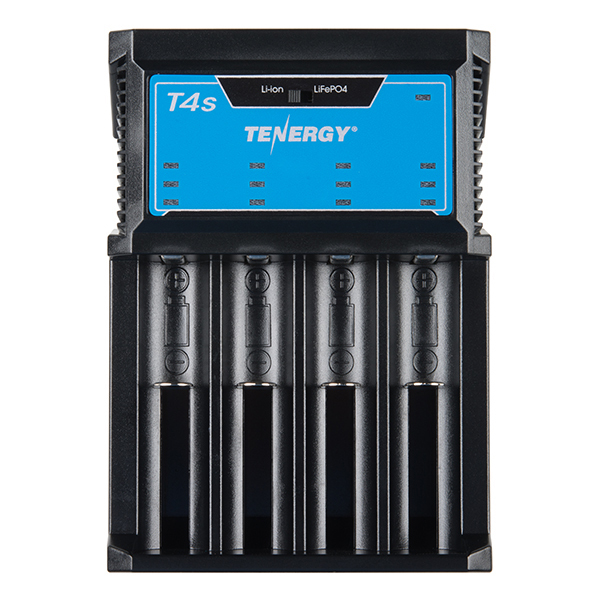 The T4s is able to independently charge your desired battery, thanks to its four microcomputer-controlled charging slots, allowing you to get power back into your project or device quickly and easily! 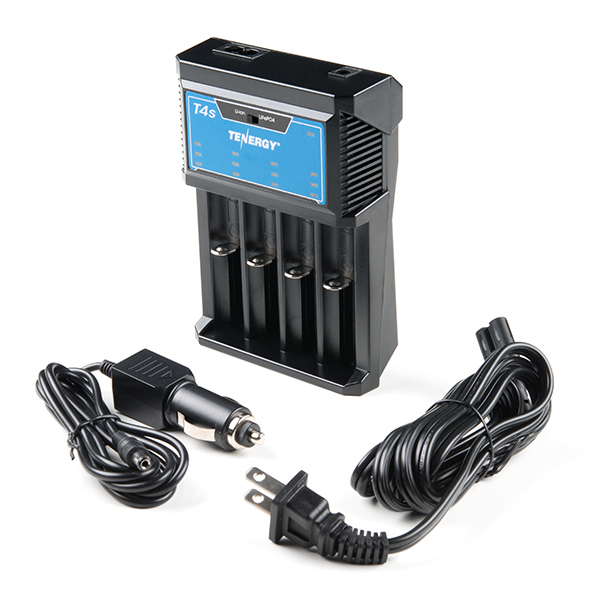 The T4s Intelligent Universal Charger possesses an output voltage of 4.2V, 3.6V or 1.48V, depending on your charging mode, with an output current of either 425mA charging four batteries at once or 850mA charging two. There shouldn't be much of an issue charging your desired battery since the T4s can charge AA, AAA, C and Sub-C size NiMH/NiCD batteries, as well as 26650, 22650, 18650, 17670, 18490, 17500, 17335, 16340 (RCR123), 14500 and 10440 Li-ion/LiFePO4 batteries. Additionally, this charger also features an easy-to-decipher LED charging status indicator to help you know exactly when your batteries are fully charged! Note: When charging LiFePO4 batteries, select LiFePO4 battery type on the switch at the top of the unit.